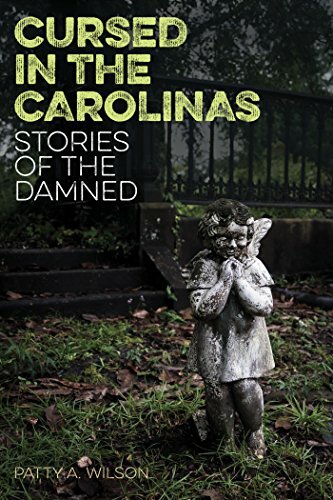 Wilson, Patty A. Cursed in the Carolinas: Stories of the Damned. Globe Pequot, 2017. This one looked promising. It’s certainly appropriate for the Carolinas after two major hurricanes this fall. It was the third-most-recently published book I’ve got hold of. The cover is creepy as hell and the presentation is really nice. It’s well-edited. No illustrations, but the typesetting is large and clear. It’s very easy to read this book in the physical sense. I’d enjoyed a similar book in the past, Joe Citro’s Cursed in New England, and Wilson does tell a coherent tale, so I had hopes. The book covers both North and South Carolina, much like Nancy Roberts’ Ghosts from the Coast. Sadly, the scariest thing by far about Cursed in the Carolinas is that cover. For a start, Wilson uses an extremely broad definition of “curse.” Pretty much any haunting can gain the designation because it was the result of a tragic death. Which is nice and all, but that’s not really the same as an actual curse. There are a few in here that are genuine curses, such as the Reverend Whitefield’s legendary curse of Bath, but most of these are a big stretch. It doesn’t help that Wilson pushes it with a final paragraph in each section, driving home a moral that serves doubly as an excuse for why a ghost story is in a book about curses. I also was bothered by her using this definition for fairly recent events. I don’t think the surviving band members and relatives of Lynyrd Skynyrd would be too thrilled to hear that all their troubles boiled down to some vague curse of “fame” and the following story about a 1980s Episcopal priest who left the priesthood under the cloud of some undefined “sin” was just plain abrupt and unsatisfying. Part of the problem is that despite the fact she has a list of some 13 books (one of them her own) in the back, most of her sources are websites. That wouldn’t be a big deal if she evaluated these sources at any great depth (lots of new folklore is generated online these days), but such exploration of the background to these tales ranges from cursory to nonexistent. Another part of the problem is that it’s pretty clear from the more famous tales that she embellishes quite a bit and makes out that it’s part of the legend. “The Cursed Dwarf of Amos Road” in the South Carolina section has a lot more of The Hunchback of Notre Dame to it than the Carolinas. And “When Mary Lydia Died” twists the Lydia’s Bridge story almost out of recognition. I’ve come to expect the usual nonsense for Blackbeard and the like, but when she turned around and made out in the intro to the South Carolina section that South Carolina split from North Carolina (which was almost completely wilderness at the time) to seek its own freedom in 1729, I rolled my eyes pretty hard. In “The Huguenot Curse” section, she also acts as though the French were the first to settle in North America, just because they stuck a fort in North Carolina a few years before the Spanish did. This blatantly ignores the fact that the Spanish had already established permanent settlements in the Caribbean by the end of the 1490s, over half a century before the French landed (briefly) in NC. There are the kinds of problems with gender and race I’d expect from a book written in 1967 rather than 2017. The “Tecumseh” section is embarrassingly loaded with Noble Savage stereotypes – also, some wonky dates. Tecumseh was apparently only five years old when he fought in his first battle in 1791 (I think she accidentally interposed 1786 for 1768). The only African American characters of any significance turn up in two stories. There are the two hapless slaves who are murdered to protect a treasure in “The Money Pit,” also from the South Carolina section. And earlier on, in the North Carolina section, you’ve got the Mammy and Jezebel stereotypes of Jo and Cissy in “‘I Could Slap the Life Out of Her! '” paired with the dated idea that slavery wasn’t so bad because some masters were “nicer” to their slaves than others. Yuck. Then there is how she writes women. It’s especially bad in the South Carolina section. I’m not quite sure who started the trend of writing South Carolina ghost stories in a style reminiscent of Margaret Mitchell, but Gee Willikers, I wish they’d stop. It’s especially bad in “Poor Alice Flagg” and “The Tragic Ghost of Fenwick Hall Plantation.” Some whispy young aristocratic thing falls in love with The Wrong Boy and her male relatives decide to put a stop to it. Naturally, that does not end well because we are talking about ghost stories and curses, here. And if they’re not rich and dying of a broken heart, they’re poor and getting burned or hanged to death as a witch (as in “The Curse of Twenty-One”). Women don’t get a lot of agency (or luck) in the stories Wilson chooses. She even manages to reduce the formidable Theodosia Burr to a tragic suicide. Of course, very few books of this type are entirely worthless. I hadn’t heard about “The Cursed Slave Cabin” at the Brown-Cowles House in Wilkes County before. And the one about the couple who ended up freezing to death in the hills was a new one to me, as well. Plus, she mentions a book I hadn’t run across, yet. But this is definitely one of those cases where you shouldn’t judge a book by its cover, even if it’s a great cover. Mosley, Sean. 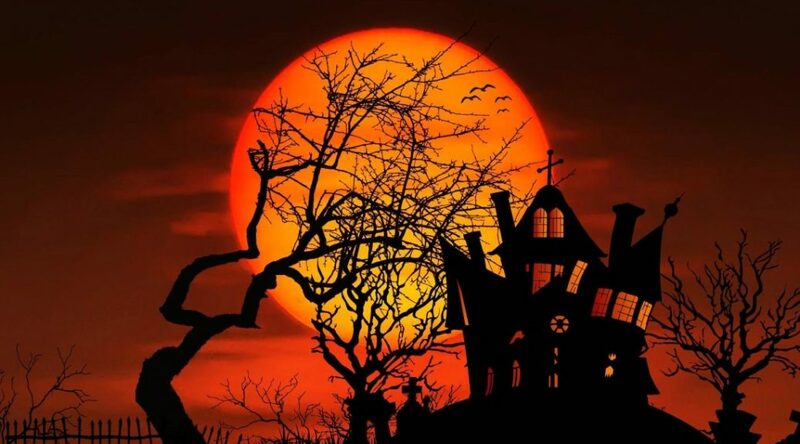 Ghost Stories In North Carolina: Every Haunted Place In North Carolina. Booktango, 2012. 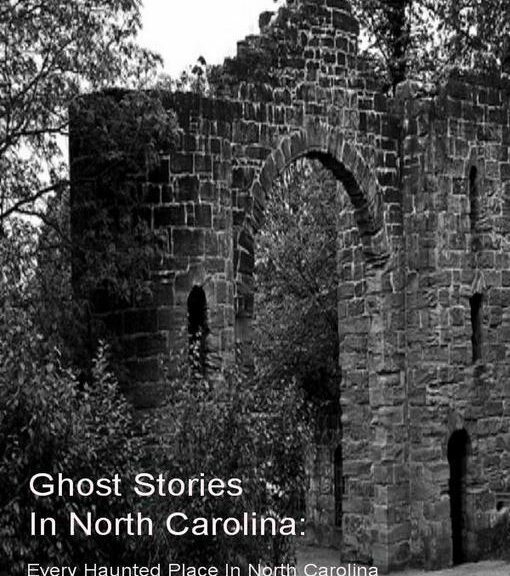 In light of the fact that this ebook (solely found on Google Books, for some reason) is only 59 pages long and only has 22 stories in it, I think that after three weeks’ worth of North Carolina ghost story book reviewing, we can all conclude the subtitle is both wildly optimistic and inaccurate. Yes, the author also discusses these stories as examples of folklore tropes, but the other examples he lists don’t even come close to the grand total North Carolina has (I suspect the true number may top five hundred, or even a thousand, but don’t quote me on that). I’ve got a trilogy by Daniel Barefoot on my pile, called “The Haunted Hundred,” that includes one story for each of North Carolina’s hundred counties. And even that’s just a survey collection. So, yeah, this book is not comprehensive. I’ll give Mosley points for covering as much territory as possible in a short space. There are no witch tales, ghost ship legends, myths about Judaculla, ghost stories about the Capitol building in Raleigh, or bootlegger yarns, but he does manage to include many of the most famous NC tales, from the Maco Light to Boojum to Lydia’s Bridge. He also especially likes Devil tales. This naturally perked me up, considering my present research focus. For the most part, Mosley doesn’t embellish all that much. He tells the tale, but he largely sticks to what’s already in the legend. Then he concludes a section by picking apart its origins, its development, and what historical basis it may or may not have. In this, he’s reasonably consistent and efficient. There are also places where his tendency to make lists proves useful and informative. For example, in his section on the Moon Eyed People (a legendary group from Cherokee folklore), he also mentions the Nunnehi (whom I’ve discussed in a previous review) and the Yunwi Tsunsdi (whom I had not previously heard about). In his section on the Devil’s Tramping Ground, he talks about the Reformation era Scotch-Irish tendency to name natural features after the Devil (my research indicates it’s a bit more complicated than that, but yes, that’s one possible source), and lists several such features in the NC landscape. 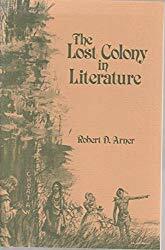 He also gives a short version of the literary bibliography of Virginia Dare (the first English child born in North America in the Lost Colony) and how she became known as a ghostly white doe. And he discusses one of the popularizers of the Little Red Man legend, Richard Walser’s, influence on the growth of that story. Unfortunately, the text could have used a good edit. There are numerous spelling and grammatical errors. Some of the formatting is wonky, though whether that’s my computer having issues with Google Books, I couldn’t say. Also, the black-and-white cover lacks context and seems a bit blah. Overall, though, the typesetting is easy to read and the book is worth a look for the extra details and connections Mosley brings to these oft-told tales. Renegar, Michael and Amy Greer. Looking for “Lydia”: The Thirty-Year Search for the Jamestown Hitchhiker. Cary Press, International, 2018. To be perfectly honest, I wasn’t expecting a whole lot from this one. The cover, though eerie, is also a bit cheesy in that 1980s-Public-Access-TV sort of way captured so well by The Last Broadcast. The title makes the book sound more like an urban fantasy quest than a serious exploration of the topic. I was expecting some breathless “expose” loaded with hair-brained conspiracy theory and not a whole lot of fact. To be really honest, I got and reviewed this because it’s the newest NC ghost story collection I could find. Mysterious Tales of North Carolina came out on April 16, 2018. This came out May 6. I wanted to have as broad a chronological range as possible. Color me pleasantly surprised, then, to find out that this is actually the most rigorous and indepth investigation of a ghost legend, besides Ghost Stories from the American South and Tales from the Haunted South, I’ve read so far. While it doesn’t take the academic, sociological route that McNeil and Miles do, it does work through the story like a journalistic investigation. Renegar has spent decades looking into the Lydia legend and his work actually shows. I’ve mentioned this legend in the past – it’s the Phantom Hitchhiker tale of Lydia’s Bridge, near Greensboro. In the story, a teenage girl named Lydia is coming home with her boyfriend when he loses control of the car. In the ensuing crash, she is killed. Since then, on rainy nights, she flags down unsuspecting drivers, trying to find her way home. 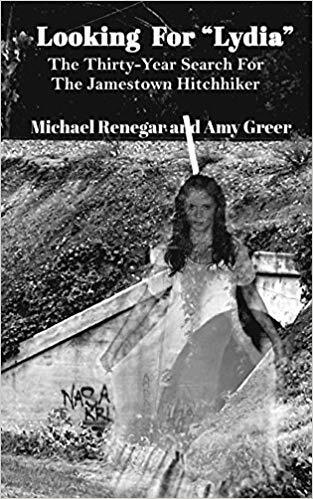 Renegar says that he first encountered it in Nancy Robert’s retelling of the story from 1959, but it’s an older story than that (he also mentions other prominent NC ghost storytellers). There were stories of people encountering “Lydia” that go back to the 1940s. Renegar met Roberts before her death and she confirmed that the name of the young man who saw Lydia home was a pseudonym, at the witness’ request. After years of research into old newspaper accounts and interviews with possible descendants of the principles, the authors found a crash from 1920 that matched in many of the particulars. But in the process, they also discovered stories about more than one spirit at the site. They go over how these stories have evolved (and a possible source for the second story) and how they may have gotten mixed up. They also talk about some other Greensboro legends (notably, Payne Road), albeit mainly to show how this one evolved. The focus on one legend helps show how such a story can change over time, almost beyond recognition in terms of the original tale. One of the more intriguing detours is into a discussion about how the show Supernatural dealt with the Phantom Hitchhiker legend in its pilot episode, and the episode “Hell House” (the creation of a tulpa), during the authors’ exploration of what kind of spirit Lydia might be (that was a rather creepy section). There were a few things I’d have liked to have seen done differently. For example, I’d have preferred they had started out with the various encounters over the years rather than the identification of the original accident and who Lydia may have been in life. I also wish they had discussed the evolution of Phantom Hitchhiker stories, particularly since the advent of the automobile, over time a bit more. The switch of the stories (and their re-intensification after a lull) over to the new bridge underpass could have used more discussion, as well. I also was never quite sure what the authors were getting at when they kept talking about how none of the drivers who drove Lydia home ever gave an address, even though there have been reports of complaints to the police by some homeowners about random strangers showing up at their doors. It may seem odd that Renegar has a co-author on this one. I was saddened to find out this was because he has been having health problems in the past few years. He could probably do worse than to have this book be his last, but I hope he feels better soon. Russell, Randy and Janet Barnett. 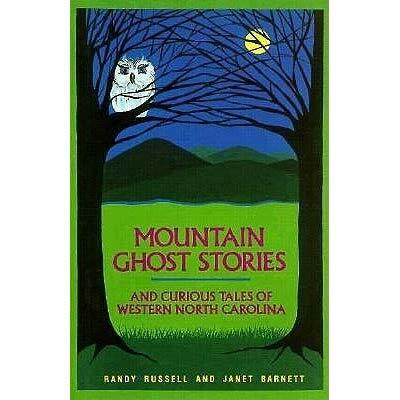 Mountain Ghost Stories and Curious Tales of Western North Carolina. John F. Blair, Publisher, 1988 (13th printing, 2014). The authors of this one hail from Kansas City, MO and first visited the mountains of NC on their honeymoon. Randy Russell (1964-?) is a poet and mystery writer who also wrote three other collections about haunted hospitals, ghost cats, and ghost dogs, all in the South. His wife Janet assisted him as his researcher and co-author for his stories. She also collaborated with him on The Granny Curse and Other Ghosts and Legends from East Tennessee in 1999. Randy was active at least as late as 2014, doing a book signing as a “ghostlorist” in Asheville, where he then lived, for his latest book. As far as I know, he’s still with us. Janet Barnett appears with him as late as 2009. It’s interesting to read books ghost story books from different periods. They tend to show distinct trends and styles that other periods don’t. Mountain Ghost Stories, which came out in 1988, is like Harden, Morgan and Roberts’ books in that it focuses more on telling a good yarn than on investigating the history behind the legends. You’ll find no paranormal investigations with bell, book and EMF meter here. These are stories set in the Appalachian “Mountain” region of North Carolina, west of the Piedmont. There’s quite a bit of overlap with Haunted Hills, though the latter goes a lot more into digging up facts and history (including period photographs). Mountain Ghost Stories is more about legends. But that’s not to say it’s lacking in worth or just retreads what other collections have done, before or since. But Dagul-ku (a goose spirit) and his theft of tobacco from the Cherokee, in “The Magic that Brought Back Tobacco,” was new to me, as were the Nunnehi (Cherokee mountain spirits) from “Fairy Crosses and the Immortal Nunnehi.” There is a ghost story (not in this book), about the vicious 18th century serial/spree killer Micajah Harpe, that refers to his being cursed for desecrating a clearing on the Natchez Trace where Cherokee witches danced. This may be a later distortion of the Nunnehi legend. Even in stories that date from the time of European settlement in the area, starting in the 18th century, the authors like to include some Cherokee legends. “The Phantom Choir of Roan [Mountain]” in Mitchell County, where some people can hear a roaring like a great battle, has stories going back to the Cherokee period. Later witnesses were in disagreement whether the armies in battle were heavenly or hellish. Similarly, Chimney Rock Mountain near Hickory Nut Gap, has a legend going back to the gold rush days of a ghostly battle. But Chimney Rock Mountain also has Pre-Columbian legends that the mountain was inhabited by a host of evil spirits. Like Roan Mountain, which has a bald (a place where grass, but no trees, grows) at the top, Chimney Rock Mountain has features and legends related to the Devil. The Brown Mountain Lights, of course, also appear, along with a murder mystery that allegedly occurred during the 19th century. A man murdered his wife and newborn baby, so that he could run off with another woman. But he was found out by the spirits of his wife and child, who appeared as ghost lights and led the local women to their bones. And then there’s the story from Rutherfordton of Daniel Keith, which appears in other Mountain region collections, how he was unjustly hanged and his shadow lingered on the jail’s outside wall until the last person responsible for his hanging died many years later. Finally, the cover illustration is for the story, “Hannibal Heaton Hears a Hoot,” about High Hampton Inn. A version of this story also appeared in Haunted Hills. When General Heaton decided to sell the house, his wife told him she would kill herself if he did. He didn’t believe her, but she was good as her word and he arrived home from the sale to find her hanging from a tree. Later, he claimed she returned as a white owl that hooted by his window every night. He left town soon after and was not heard from again. Jackson, Richard and William Jackson. Ghosts of the Triangle: Historic Haunts of Raleigh, Durham and Chapel Hill. Haunted America. The History Press, 2009 (Ebook 2013). I have to admit that even though I read it just a few weeks ago, I didn’t remember much about this one at all. It could have just been that North Carolina Haunts covered the same ground more memorably. Or it could have been that this one was so short. There are only 32 tales in it. The book has some of the usual standards of the Piedmont – notably, the early 19th century Peter Dromgoole legend, Civil War era Bentonville Battlefield, Millcreek Bridge (in which a meek old slave accidentally kills his brutal master and buries the body in secret under a bridge), and, of course, the Devil’s Tramping Ground. Personally, I have never understood the romantic appeal of the Peter Dromgoole legend, in which a young University of North Carolina student got himself killed in a duel over a girl and later on, some frat boys built a castle on the spot. From Peter Dromgoole to Jim Wilcox, North Carolina folklore seems to have a soft spot for young men doing irrevocably stupid things. Ghosts of the Triangle also has its fair share of Moldy Old Piles architectural history, with an emphasis on the institutional. You’ll find sections on the North Carolina State Capitol building, Stagville Plantation, North Carolina State University, Dorothea Dix Hospital, and the White-Holman House. 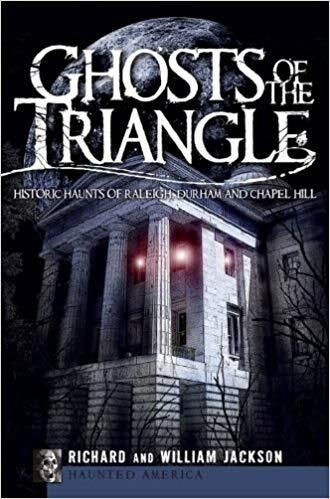 The authors are quite fond of haunted hospitals and the Triangle area doesn’t lack in old medical centers. Since many of these buildings are large and not residences, these sections tend to be collections of stories about different sections of the building and involve more witnesses than a private house generally does. I’ve been rather harsh on this one so far and that’s not entirely fair. The Jacksons are also good at turning off familiar roads into some pretty strange and new territory, such as with the Haunted Wood section in Durham County or CryBaby Lane in Raleigh (which turned out to be only an urban legend when the authors researched it). Just as CryBaby Lane turned out not to be a gravity hill (as they usually are), I thought the story about the Phantom Hitchhiker would be about Lydia’s Bridge, but nope. It was a lesser-known male version from what appears to have been the 19th century. And it was quite creepy. Lydia is known for being wistful and just wanting to go home. This spirit appeared to have more darker designs, like a less-humorous version of the mule-abusing monster in Haunted Uwharries. The authors tend to waver between lots of historical detail that doesn’t necessarily add to the atmosphere and going really vague with the iffier legends that may be created out of whole cloth, or go too far back to have lots of surviving corroborative evidence. The Jacksons provide less autobiographical detail than some other authors, so it’s a bit hard to tell what angle they’re coming from. But they do provide an introduction that briefly talks about folklore. It wouldn’t have hurt to make this one a bit longer, but the Haunted America series tended to have some pretty short entries. Ghosts of the Triangle is definitely that. Absher, R.G. 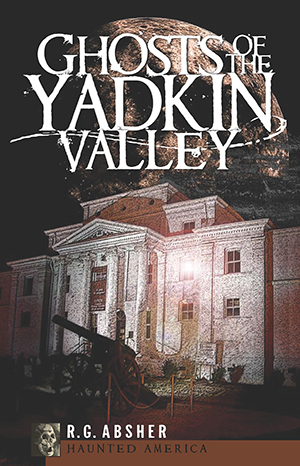 Ghosts of the Yadkin Valley. Haunted America. The History Press, 2009 (Ebook 2013). As with some other authors I’m reviewing this month, R.G. Absher hails from the area he’s covering (the upper Yadkin Valley), is a local park service employee, and also works in the dark tourism industry, conducting ghost tours. Yadkin Valley is in the northwestern part of North Carolina, currently part of this state’s burgeoning wine industry, and is part of the Yadkin River system. The sweet wines from the ancient Muscadine and Scuppernong grapes are generally grown toward the coast, but more traditional European varieties can also be grown in the Piedmont and points west, notably in Yadkin Valley. So, with all the wine trails and heritage trails, this is a very touristy area. Absher begins right off with a folkloric bent. There’s an opening Acknowledgements section with interviews for each chapter (and a bibliography by subject of websites in the back). Many of them are with local museum historians and ghost tour guides. His introduction then discusses the various characteristics of a traditional ghost tale or experience, such as sights, sounds and smells. Absher deals with some well-known material, notably the Tom Dooley story, which occurred in the Yadkin Valley. Contrary to the Lost Cause myth of virtuous and godly women (and men) in the South, the Yadkin Valley was quite the swinging place in the 60s – the 1860s. One man, Thomas C. Dula (known to legend as Tom Dooley), was a Confederate veteran who got involved with numerous women after the Civil War. These included a love quadrangle that went horribly wrong when one of the women ended up pregnant and dead, after allegedly having given the small group an STD. Dula was hanged, still protesting his innocence (it’s possible one of the other women did it), and a folkloric ballad tradition was born. Dula reportedly haunts the Old Wilkes Jail (where he was confined for trial) and Tom Dooley Road (where he was buried). There is also a small collection of hauntings from deaths near these sites. Absher discusses early Native American relics (a large burial mound in Caldwell County) and folklore (the legend of huge battle that probably happened in the early 18th century and left behind ghost lights related to the Brown Mountain Lights). There is an impromptu mountaintop séance that results in a sudden storm. There is also a rather long section dealing with Revolutionary War ghosts. Many of these were of soldiers and irregulars who were hanged from specific trees in the region. One old Colonial era hanging oak only came down in the 1990s after a series of storms (oaks live three centuries on average). One old Sycamore still stands that was used for the hanging of a Tory in 1781. Other Colonial era ghosts are related to battles and skirmishes in the area, and the defense of Fort Defiance. The book then wanders a bit as we get a collection of familiar tropes, including haunted graveyards, churches and hotels, a Phantom Hitchhiker, a misty mountain ghost, and a Devil Dog from Purlear. As with the book about Old Salem, also from the Haunted America series, this book is quite short and sometimes (paradoxically) feels a bit padded. For example, Absher ends with a personal account of a haunting of the Reed Creek farmhouse – which is actually in Hartwell, Georgia – rather than a local legend. Montgomery, G.T. Ghosts of Old Salem, North Carolina. Haunted America. The History Press, 2014. This is another book where the author is a professional in the field. In this case, as with Karen Lilly-Bowyer, he’s a ghost tour guide. So, he operates in the industry of dark tourism, as Tiya Miles would put it. Montgomery puts a tour guide’s zest into discussing the area’s history and its ghosts. Needless to say, he also works at giving some inside info that someone who does not work in the dark tourism industry in Old Salem might not know. And he gives the best and most detailed account of the Little Red Man of Old Salem that I’ve encountered yet. Contrary to how it sounds, this ghost is of a Moravian brother who was accidentally killed when part of a cellar fell on him. Not only is he not demonic, he’s not even malevolent, just mischievous. That said, this is a very short book, even with the padding toward the end of unrelated history and what is probably a straight-up fictional tale at the end. It’s 112 pages and that includes the introduction, the author’s bio, and the end pages. This is one from The History Press, back when they were putting all of their regional ghost story books into a series called “Haunted America.” Those are always a bit short. Montgomery does recount quite a bit of history with his ghosts, so it makes it easier to give these tales a time and place of origin. However, he does tend to fictionalize at times. There is no way, for example, he could accurately tell us the thoughts of someone about to commit suicide decades ago who didn’t even leave a note, but that’s exactly how he tells one story. Old Salem, NC, in Forsyth County, is very different from Salem, MA. Old Salem was founded by the Moravians (one of three such settlements in NC), a German Protestant sect who sought refuge in the Americas in the 1800s. The Moravians were not unlike the Shakers. They emphasized hard work and segregation of their members (both married and unmarried) into age and gender cohorts, living in different buildings and even being buried separately. They seem to have retained a good reputation over the years. But their devotion to God has not left the town unhaunted. No surprise, then, that one of the first stories is about their cemetery. Interestingly enough, there is another Salem in Burke County and a New Salem in Union County. Old Salem prospered. It eventually grew so much into a later nearby community, Winston, that they were merged in 1913. Winston-Salem is now one of the largest and most prosperous regions in North Carolina. Old Salem, however, remains an historic district in the city. Montgomery sets most of his tales in Old Salem. He, rather apologetically, mines some from the greater area of Winston-Salem, as well, later in the book. The most unusual of these spirits is the Little Red Man. The rest tend to follow familiar tropes. There’s a “haunted” portrait of a society dame where her eyes appear to follow you everywhere. There’s the ghost of a young boy (largely manifested by a cold spot in the street) who was hit by a trolley car. There’s a ghost of a young college student who committed suicide, a haunted tavern, two shootings, and a hotel fire. As I said, the book is pretty short, so there’s not as much there as I might like. Even so, Montgomery does spin a good yard. Even if the last tale is probably fictional, it’s also quite creepy. 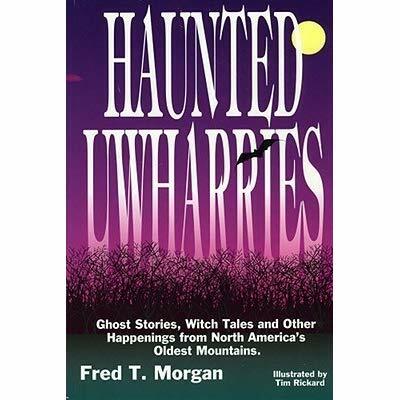 Morgan, Fred T. Haunted Uwharries: Ghost Stories, Witch Tales and Other Happenings from North America’s Oldest Mountains. Bandit Books, 2009. Fred T. Morgan classifies himself as a storyteller. He’s still with us and lives in Albemarle, NC, running a B&B where you can stay the night and interview him or listen to him tell his stories. Yes, I am saving my pennies. Morgan’s big focus is the region of the Uwharries. This one is part of a series about the area. The Uwharrie Mountains are a low and ancient mountain range, half a billion years old, in the Piedmont (central) area of North Carolina. Once higher than the Rockies, this heavily wooded range is now a series of rolling hills barely topping a thousand feet. For comparison, the Appalachians are about twenty million years younger, with the Rockies being 55-80 million years old and the Himalayas a mere 55 million years old. The area boasts its own National Forest. As with many such ancient places, the Uwharries are a region that seems to brood and brim with secrets. A lot of the stories in here follow well-known folkloric tropes of NC and the South: a headless man chasing a hapless tramp out of an abandoned witch house, a particularly chilling and brutal Bluebeard of the Uwharries who dispatched his seven terrified wives with their own knitting needles, the siren of Rocky River who lures unstable musicians to their doom, a ghost child who asks for a ride and then turns into an enormous monster that breaks down mules, the crying ghost of a baby buried beneath a hearth, more than one shapeshifting witch, a hermit, a girl frightened to death by accidentally staking her dress to a grave, and so on. An entire section, in fact, is dedicated to witch tales. All of these are garnished by clear and evocative black-and-white illustrations by Tim Rickard. Morgan tells these stories as if they are actual stories (much like Nancy Roberts) rather than recountings of local history or legends (as Morgan claims they are in his introduction). There is at least one that is historical, retelling the local stories surrounding the area’s experience of the massive 1886 earthquake of Charleston, SC. Some of the entries in the final section, though (such as the tale of an enchanted pipe whose smoke can show strange new worlds or the morality tale about Lucifer the crow), seem entirely fictional. Some are also just plain funny, like the tale of the drunken turkeys (from still mash) who are accidentally plucked by a housewife who thought they were dead. They then give everyone a scare when they show up on the doorstep, naked and hungover, but very much alive. Morgan spins a good yarn (particularly memorable are the monster baby and the skilled horsewoman who takes revenge on the creepy suitor/stalker who murdered her) and some of these are new. There’s a Phantom Hitchhiker tale of an old woman who walks along a lonely stretch of dirt track with her laundry on her head until a traveling preacher takes pity on her and picks her up. In another traveling preacher tale, the minister takes home a grieving mother whom he finds lying on her dead baby’s grave, only to find when he gets there that she, too, has died. He was giving a ride to a ghost. In another traveler tale, visiting midwives are felt up over the bedclothes by a ghost in a haunted porch room (an exterior room of the porch made up for visitors in old country houses). There are also several tales about African Americans back in the day, such as Celia Easely and her husband Old Free Harry, who once worked their way up to owning 400 acres in the Uwharries during the 19th century. Then there’s the odd story of Old John, an old man with a magic ball who may have originally come from Ancient Egypt. One of the creepiest is the very strange tale about the squeaky pines of Rocky Hill Road in Rocky River. Those passing by a certain spot in their carts would see the ghost of a hanged man before being accosted by three witches and five goblins, intent on murder. A country doctor on an emergency call finally busted through with his assistant. This apparently broke the spell, but for years afterward, people saw three crows harassing five field mice in the area. One theory advanced in the story is that the goblins were the ghosts of five slaves who once lynched a cruel slave master and the witches were the ghosts of the slave master’s sisters, who sought revenge on the slaves, but never got it in life. But in truth, the mystery is never fully explained. It’s just straight-up creepy. Lilly-Bowyer, Karen C. The “Wettest & Wickedest” Town: An Illustrated Guide to the Legends & Ghosts of Salisbury, North Carolina. Frank Chodl, photos. 2011. I was pleased to find this book while attending a conference in Salisbury a couple of years ago. It’s the kind of local, indie book that is very hard to find outside of its own location. You’d probably have to call the South Main Book Company in Salisbury (where I bought the book) to get a copy. It’s self-published (with the ring-binder, that shows), and it’s short (73 pages), but the sepia photographs look really nice on glossy paper and there are ghost stories here you won’t find anywhere else. You know a town has a pretty dark history when one of the ugliest “legends” (an extremely notorious group lynching that put Salisbury on the map for a time in the worst possible way) is just cold, hard fact. There’s a lot more to Salisbury than that, but the chilling unsolved ax murder of a family and the three unfortunate men whose lynching for the crime made international news in 1906 is probably its most famous tale. As with most lynchings during this time period, race was a major factor and the real murderers of the family (possibly the oldest two children, who survived) got away with it, as did the mob. At least, in a court of law. In the court of international opinion, Salisbury was thoroughly condemned. The crime still resonates today. Just this year, the town council has been considering two resolutions that themselves thoroughly condemn the lynching and they’ve generated a lot of controversy, even in 2018. The tree is still there. But there are other tales, too. There are 14 in all from the author’s ghost tours in Salisbury. Though some of them follow folkloric tropes (such as the ghost of a little girl spotted in an upstairs window in the Wrenn House), you’re not likely to see very many in other collections. For example, there’s the quote used in the title. Salisbury began as a county courthouse and a tavern (known as an “ordinary”) in 1755. A century later, it had so many whiskey distilleries, saloons and whorehouses that it was considered “the ‘Wettest and Wickedest’ town in the state.” Prohibition had little effect on the town other than to drive its activities underground. The Sessions House, on land once owned by the rich slave trader Maxwell Chambers, is built over the family graveyard and belongs to a nearby church. It’s speculated Chambers felt guilt late in life about his profession and wanted a connection to the church, but why are the graves under the house and covered by stone slabs? The author floats a more sinister theory – that Chambers feared the family’s bodies would be stolen by medical students looking for cadavers. Unsurprisingly, the local cemeteries get an entry (some going back to the 18th century). In addition to being the cemetery for a former Confederate prison, one also has possible Masonic graves. Lutheran Cemetery has an odd ring around one tree of permanently trampled earth, reminiscent of the Devil’s Tramping Ground in Chatham County. The author also mentions legends of pirates and of tunnels under the town (some of which may actually have existed as escape tunnels from the prison). All in all, Salisbury has a fascinating history and folklore. 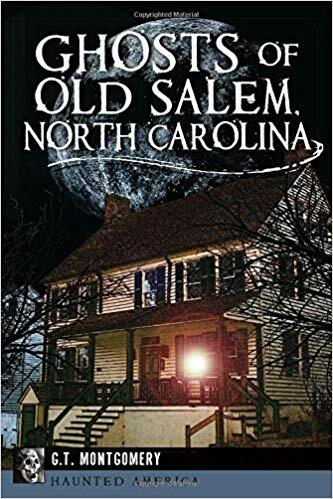 Even Lilly-Bowyer admits that this book just scratches the surface of the folklore, but it’s a good effort that adds some unique material to the North Carolina collection of ghost stories.